2 other identical double berths (140x190) sharing the heads of the other cabins (two doors access) shower headroom is 1.88. 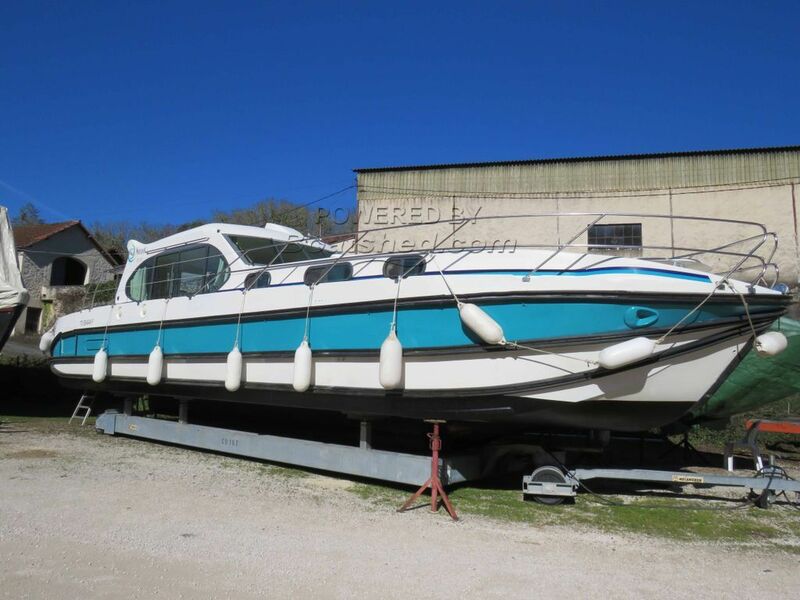 Ex hire canal and river cruiser for sale in France. We are pleased to offer this Nicols SEDAN ESTIVALE OCTO for sale. Nicols are renowned for combining innovative design and quality construction. With quality trim and equipment the SEDAN ESTIVALE range make ideal boats for refined personal use. Ease of movement, ease of maintenance. double helm positions, fore deck table integrated. Ideal boat for a family or friends who want to cruise in a good confort everywhere on the inland waterways. This Nicols Estivale Octo Ex Hire Cruiser has been personally photographed and viewed by Magali WHARMBY of Boatshed Midi Canals. Click here for contact details.